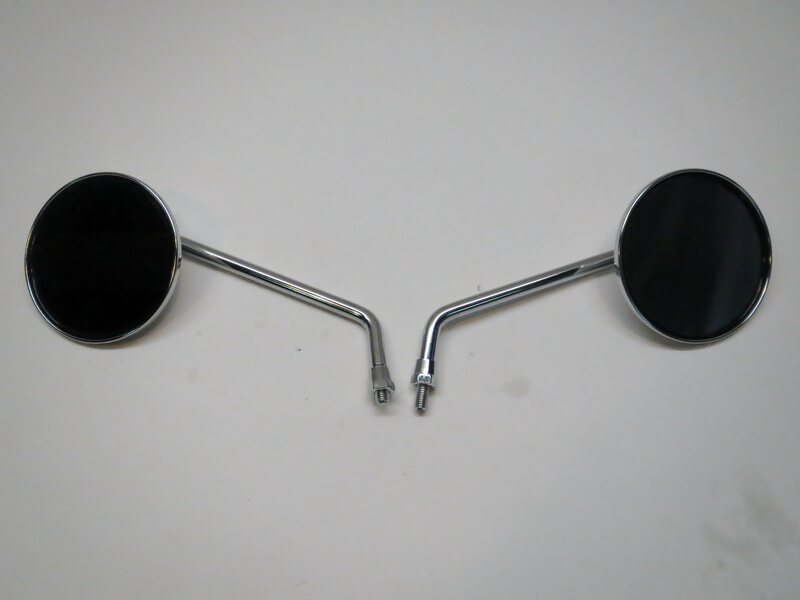 This is a BRAND NEW pair of aftermarket replacement mirrors for most vintage Triumph motorcycles. 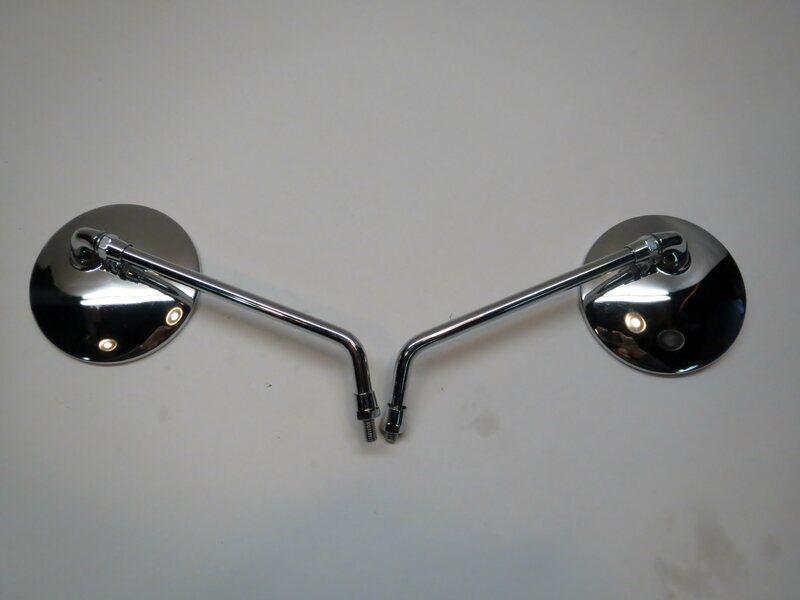 This beautiful chrome and steel mirrors will look great on your vintage bike, and are very similar or exactly the same style as was originally used on many models. 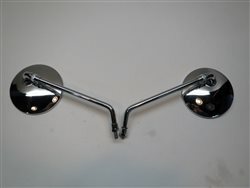 Take a look at the pictures for closeups and details. Threads are 8mm, not 10mm as is typical on Japanese bikes.